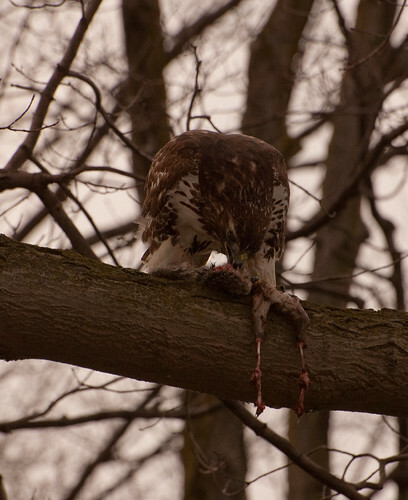 This very formidable bird was deeply engrossed in its meal and didn’t seem to be bothered by me or the crowd that gathered after I started taking pictures. 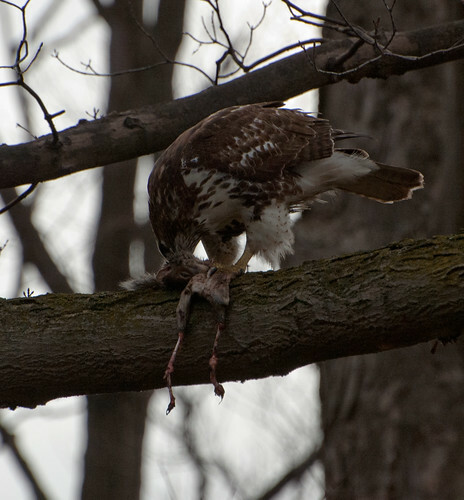 There wasn’t much left, but the hawk gathered up the remains and headed back into the woods. 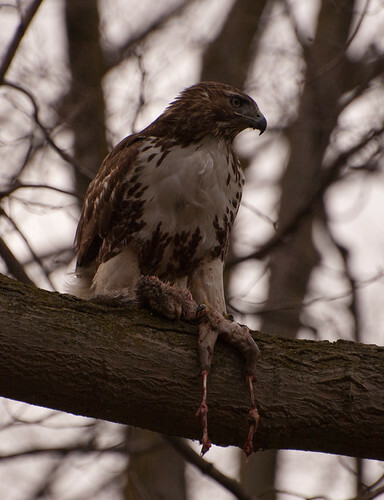 On a recent drive to the Chicago area, I counted over 60 red-tailed hawks along the way (one way, and I am sure there were many I missed). 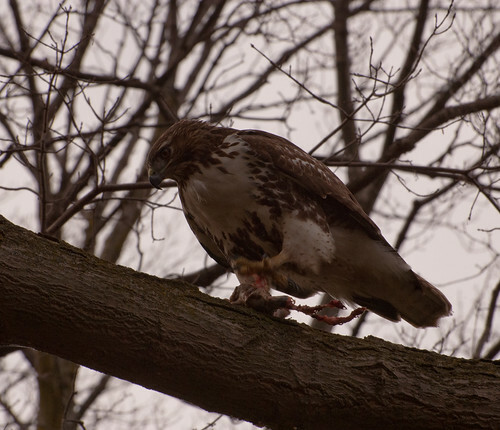 Red-tailed hawks are prevalent along highways but I think the numbers were higher than usual for this trip due to the time of year – during winter migrants from more northern regions mix with the resident hawks. 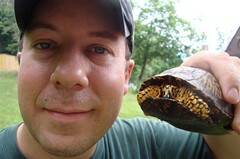 This entry was posted on 17 January 2013 by patacoate. 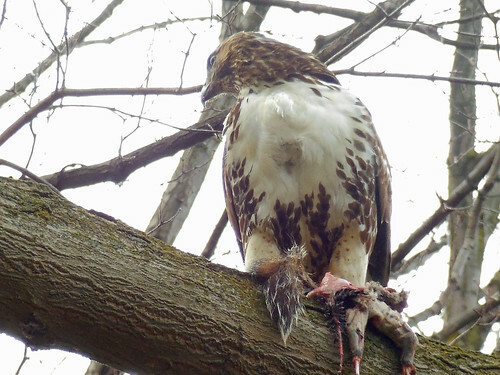 It was filed under iPhone and was tagged with Red-tailed Hawk, Red-tailed Hawk with Prey, Red-tailed Hawk with Squirrel. I guess that’s a better way for the squirrel to go than the one Amy ran over right after she got her license.